NO SCHOOL FOR ME FOR A WEEK! YESSSS! Thats what everyone wants. Sorry for no post yesterday it was getting kinda late by the time I made the post so I mean? 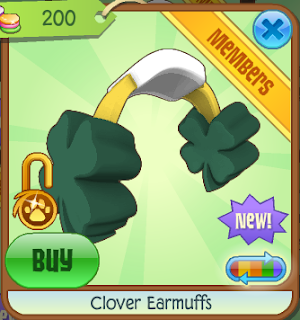 Today we have the returning clover earmuffs sold in jam mart clothing for 200 gems! These always return! 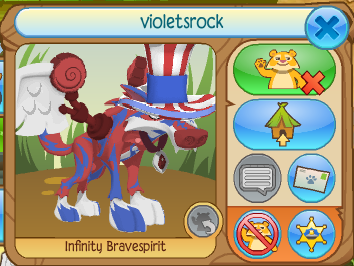 But I think the colours they come with are pretty cool. No one probably cares about this but I thought I would share it. 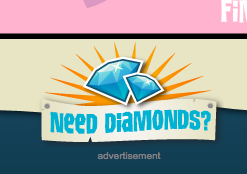 At the bottom of the game site they always have a few advertisements well not advertisements but they have changed this certain one in particular's design. I think this one actually stands out more but this may not attract more being to get diamonds and buy stuff from the outfits. Wow its actually been quite awhile since we actually have done a how to..
Todays how to will be how to be a nice buddy. 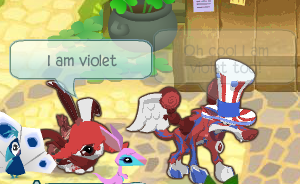 With just a few simple tips you can be a nice buddy! When becoming a nice buddy you also want make sure you introduce yourself. By introducing yourself you can start off by saying your name and what you like to do! Who knows maybe the person and you have things in common that you don't even know about. If you wanna continue your relationship instead just making it a 5 minute moment add your buddy! By adding your buddy you just made another friend. Yipee! If your buddy does not accept maybe he/she doesn't think your a good person. By hanging out with your buddy it came improve your friendship and you will always have a fun time. The last thing you need to do is always be kind. If you are a greedy person that may be a hard thing. No one wants to know someone who is always mean a rude so be kind, compliment and so many nice things! Lol, I'm guessing that violetsrock is a spare account?